Colin Griffith, MCH, HMA is a highly respected homoeopath, writer, teacher and practitioner with more than 20 years of experience. He studied at the College of Homoeopathy in London (1986-1989). In 1999 Colin, Janice Micallef and the late Martin Miles founded the Guild of Homoeopaths, a 2 year post graduate course which was the outcome of a meditation group dedicated to the research and meditative provings of new remedies. He has been a member of this proving circle for 20 years. Some of the results of these provings have been published in his two volumes of The New Materia Medica (Watkins). Remedies like Ayahuasca, Sycamore Seed, Rose Quartz and many others are among the results. 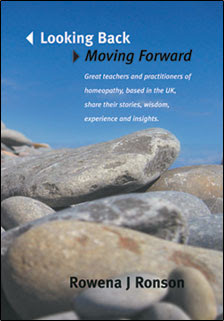 Colin and Martin Miles were among the first homeopaths who strongly advocated the combined study and integration into homoeopathic thinking of oriental medical philosophy with a thorough understanding of the chakras; this has become known as evolutionary homoeopathy, a way of thinking that places emphasis less on the often frustrating search for ‘cure’ (and the methodologies employed to achieve it) than on the patient’s life course and purpose. This integration of the practice of homoeopathy with traditional eastern medicine has become one of Colin's main interests and what he most enjoys lecturing on. He has given seminars in Ireland, Canada, the United States, Greece, Japan and Spain. He often runs seminars in the UK while working in a very busy practice in Kent where two of his children have also begun their careers in alternative medicine. Colin Griffith's seminars and talks for Galahomeopathy.